Orient FDB08005W Review – Should You Buy It ? I like Orient watches very much. They make their own movements (in-house), and their wrist watches are reasonably priced. Great value for the money. Today I will review a popular watch made by them – Orient Men’s FDB08005W (Amazon link). 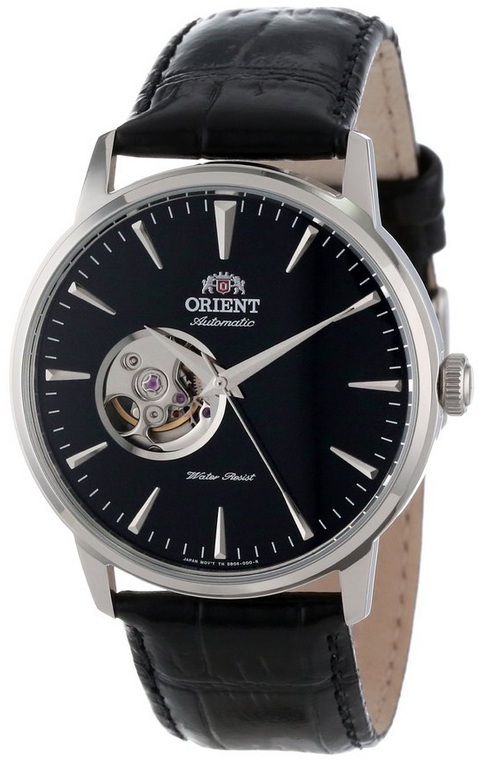 As I mentioned, Orient makes their own movements, and that’s great in my opinion. Nowadays, not all companies use in-house movements, and I don’t think that’s a smart thing. The movement of the Orient FDB08005W watch is accurate (automatic self-wind movement). You can feel it winding (that’s something common with Orient watches actually) – some people will like that (I do for sure). The analog display (“window”) is a very nice addition – looks very cool. 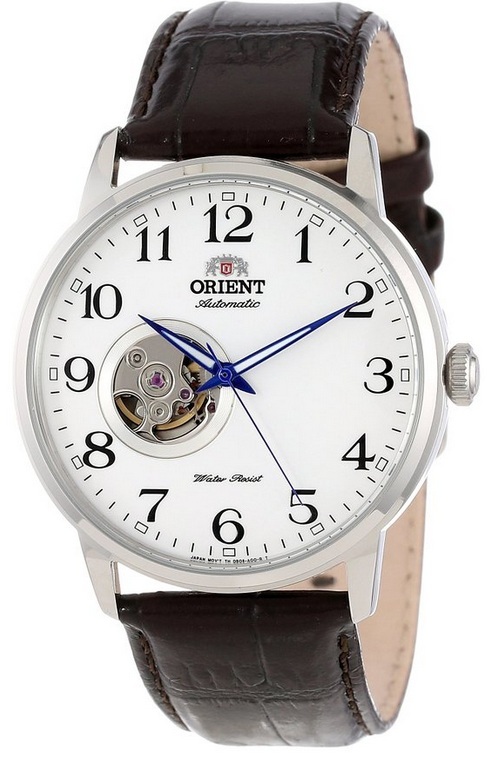 If you are looking for a more “classic” looking Orient wrist watch – check out Orient ER27002B (Amazon link). It definetly looks more elegant. It does not have the “open heart” window, and some people say that it looks better that way. Let us know what you think in the comments below. Orient FDB08005W looks fantastic. It’s not a very expensive watch – and still – it looks great, like an expensive, high-quality wrist watch. The leather watch band looks really nice as well – it’s quality is high too. This watch is very impressive, and people will notice it for sure. The case diameter is 41mm – perfect ! Not too big or too small – very balanced look. If you want to, you can replace the original watch band with other, better looking bands that can be bought online. Many people choose to do that, But I really think the original band looks fantastic. And it’s made from great materials. The build quality of the Orient FDB08005W watch is really good. And that’s surprising since this watch is very affordable. Some people will call it a “cheap automatic watch” but don’t let that fool you – the quality of the materials is very good. And you can sport that from distance ! This watch is water resistant to 165 feet (about 50 meters) which is not too bad. Orient claims it’s sutable for showing and even swimming (I personally would not swim with it 🙂 ). I hope you will find my Orient FDB08005W review helpful. If you have any questions – feel free to comment. As you probably noticed- on our our website will mostly post tech related reviews. Recently, we decided to expend our website and therefore we now review non tech related products as well. Orient FDB08005W is also known as FDB08005W, DB08005W.